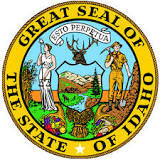 The Idaho State Prayer Breakfast is a state version of the National Prayer Breakfast held annually in Washington, D.C. The Idaho breakfast was inaugurated over 50 years ago and continues to be sponsored by a volunteer committee of interested persons who have joined together for this occasion with the desire to deepen the spiritual life and moral fiber of the people of Idaho through God’s leadership. 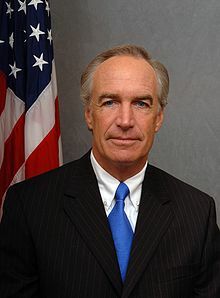 2019 Featured Speaker is Dirk Kempthorne. Dirk Kempthorne has served the State of Idaho and the United States of America long and well. Raised in San Bernardino, California, he attended school there until enrolling in the University of Idaho where he was elected student body president. 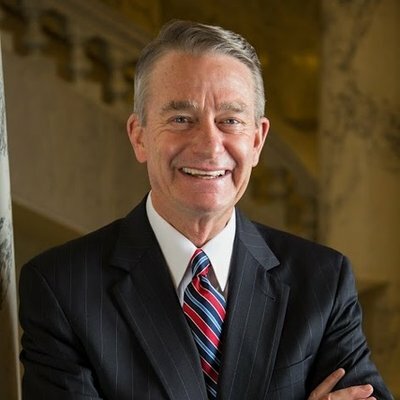 Upon graduation he served as Executive Vice President of the Idaho Home Builders Association and the public affairs manager of FMC Corporation. Kempthorne was elected mayor of Boise in 1985 at age 34. His vision for the City of Boise and beyond is now on display. Following his tenure as mayor, Kempthorne was elected to the U.S. Senate where he served for six years. Kempthorne was elected Governor of Idaho in 1998. He served in that position until June of 2006 when he was appointed by President George W. Bush to serve the nation as the Secretary of the Interior. Following his public service career, Kempthorne served the private sector as President and CEO of the American Council of Life Insurers in Washington, D.C. He recently retired from this position. Governor Kempthorne and his wife, Patricia have two adult children, Heather and Jeff. Payment must accompany your reservation. Priority seating is assigned on a first-received basis. Those wishing to sit together must submit reservations and payment together. Table tickets will be mailed ten days before the event. Individual tickets will be distributed at the Will-Call table in the foyer at Boise Centre immediately before the breakfast. Please plan to be seated by 7:45 a.m.